Dr Gill Solberg | Muscle&Motion - Strength Training Anatomy, Muscular Anatomy and More! 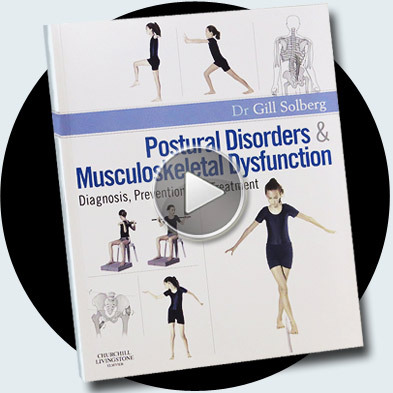 Dr. Gill Solberg is Co-Founder of the Muscle&Motion Posture program. Dr. Gill Solberg, a teacher of movement and of yoga, graduated from the Zinman College at the Wingate Institute in Israel, with a specialization in postural disorders. For 12 years Dr. Solberg has been a diagnostician and head therapist at the Biggest therapeutic Sport Center in Israel and was also in charge of hydrotherapy and adapted movement for children with postural disorders. During his advanced studies he specialized in clinical kinesiology and in adapted physical activity for populations with special needs, which was also the subject of his doctoral thesis. Dr. Solberg has been a teacher of movement since 1985 and since then has been a lecturer in various Academic institutions of Movement and Sport Sciences. His main areas of teaching include Anatomy and Kinesiology of the Movement System, Diagnosing and Treating Postural Disorders, Motor Learning and Control, and Diagnosing Psychomotor Disorders in Populations with Special Needs. 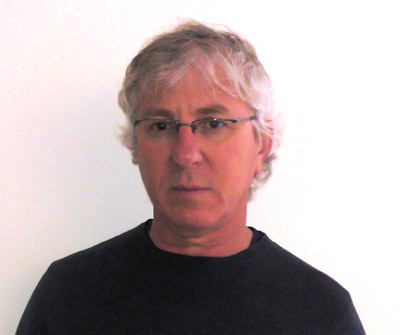 He moderates courses and workshops for movement and rehabilitation therapists in Israel and the United States, publishes articles in his areas of specialization and presents his work at many professional conventions around the world. Dr. Solberg also conducts a private clinic that offers physical therapy and adapted activity for patients with postural disorders and musculoskeletal dysfunction. He lectures about rehabilitative movement to therapists in inservice courses. Dr. Solberg has published articles in his areas of specialization and presents his work at many professional congresses around the world. Dr. Solberg developed a unique integrative approach (which is taught today as part of a year-long course for therapists, and also in few training programs in Israel and the United States). During the year the clinic hold conducts courses, lectures and in-depth workshops on posture, movement and therapy. This high academic level courses are intended for instructors of any and all methods: teachers of movement, Pilates, Feldenkraiz, yoga, martial arts, hydrotherapy, gym instructors, touch therapists, paramedical therapists, physical therapists and occupational therapists. Author of the book (that is part of the software), “Postural Disorders and Musculoskeletal Dysfunction: Diagnosis, Prevention and Treatment” (Churchill Livingstone – Elsevier). The book was received enthusiastically around the world and was published by Elsevier in English, Chinese, and Korean. Today it serves as a textbook in most academic institutions and schools of physical therapy in the United States, Europe and the Far East. The book presents comprehensive integrative approach to treating postural disorders and sought to set down most of the basic information needed by teachers, and therapists working with various cases of postural disorders. The book is intended to raise awareness about a subject that has been shunted to the sidelines and to a certain extent snubbed by many professionals. Orthopaedists recognize the existence of posture, but except for cases requiring treatment entailing a brace or surgery, the attitude is one of general avoidance. This attitude derives from a view of posture problems as a matter of aesthetics or behaviour, to which orthopaedics has no commitment because they do not pose a danger to life or general functioning. Physical therapy treats posture with a modicum of respect but its daily routine encounters such a broad range of musculoskeletal problems that there is little time to deal with posture. On the other hand, Yoga teachers recognize, respect and even like to deal with the subject, but too often without the theoretical basis necessary for constructing a responsible, controlled therapeutic system. The book provides the thread that connects these three domains. 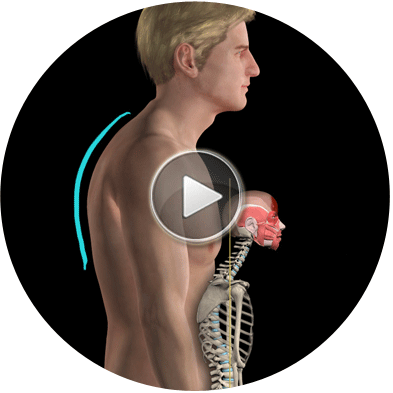 Developer, in conjunction with the Muscle&Motion Company, the first and most advanced software in the world for learning anatomy and kinesiology of Human Posture. But first, foremost and above all, he breathes and loves movement. “My father owned a garage and my mother was a yoga teacher. For years I felt that the educational continuum I grew up on ranged from a monkey wrench at one end to an incense stick at the other…But in the end this educational contrast allowed me to reach some sort of balance which is reflected in my professional approach. So, even though I combine a variety of methods in my work – my father’s heavy toolbox keeps me well anchored to the ground…and I tend to seek the scientific basis in and for everything”. ” During the first years of my teaching I recognized the multifactorial nature of various postural problems that are seen in classes, and the difficulty in establishing an accurate definition of “posture norms”. I realized that Understanding and internalizing the specific principles underlying the human movement system will enable me to move the body according to its own structural dictates. I felt that With deeper knowledge and understanding, my teaching can provide balanced exercises, improve training results and prevent damage.